Legion Memorial Park The park holds the city’s swimming pool with large water slide, basketball and tennis courts. A bandstand, gazebo and Veteran’s Memorial are all structures within the park. Restrooms, picnic shelter and playground area all occupy the spacious area in midtown Auburn complete with a rock creek and unique rock bridges. Recreational Complex Built in 2001, this 30-acre facility includes baseball, softball and soccer fields as well as a picnic shelter, playground area, RV hookups and a tent area. Known as one of the best in the state it is host to both state and regional tournaments, located at 6th & Q Street. Rotary Island – Optimist Lake provides fishing while a concrete walking trail around the lake provides a safe place for walking all year round. It sits on the north edge of Auburn stocked with blue gill, catfish, carp and trout also enjoyed for the numerous geese that make the area their home and friendly to visitors. Restrooms and picnic areas are also available. Coryell Park Coryell is unique and incorporates peace, recreation, and beauty to all who visit. The park has a playground, covered bridge, pavilion, chapel (often used for weddings) and Treasure House filled with collectibles of the family, most notably a doll collection. Coryell Park was awarded the honor of one of the State’s Hidden Treasures for 2011, located one mile east of Brock, 3 miles south or 73203 633 Avenue, Johnson. Boettner Park is home to the 1854 Didier Log Cabin and the Civil War Memorial Marker where Co. C 1st Reg. of Nebraska enlisted for the Civil War in 1861. There are public restrooms, benches, picnic tables and a new shelter. The park is one of this village’s focal points during festivals, located at 2nd & Main. The Governor Furnas Arboretum and Whiskey Run Creek Nature Trail provide educational activities, birding and garden tours for visitor experience. It is an affiliate site of the Nebraska Statewide Arboretum, located on Main at 5th Street, (402) 825-6637. Indian Cave State Park Nemaha is the gateway to Indian Cave State Park from the north, Highway 67. 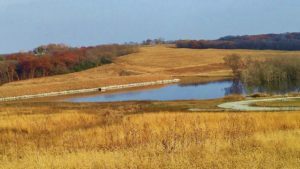 The park offers horseback trail rides and over 22 miles of hiking trails as well as fishing from the banks of the Missouri. Camping is available year round including campsites with electricity. The RV campground has 134 units with electrical hookups. Other amenities include restrooms, showers, laundry, picnic tables and fire rings. The City Park, midtown Nemaha, is ideal for picnic, games and community gatherings. Neal Park is located on the south edge of Peru just as you enter the town complete with pavilion, picnic areas and hiking. Sid Brown Park is located one block from downtown featuring a new children’s playground, picnic tables and Splash Pad to open summer of 2015. The Steamboat Trace Trail is a scenic hiking, biking and birding trail that links Nebraska City to Peru to Brownville and offers a total experience to nature lovers. The 21 mile historical route closely follows the Missouri River trail of Lewis and Clark. Duck Creek Recreation Area – Opening 2018! The Nemaha NRD will open its first new recreation area in 20 years in spring 2018. Duck Creek is in Nemaha County, 7 miles north of Auburn 2 miles east of Highway 75 on County road 736. 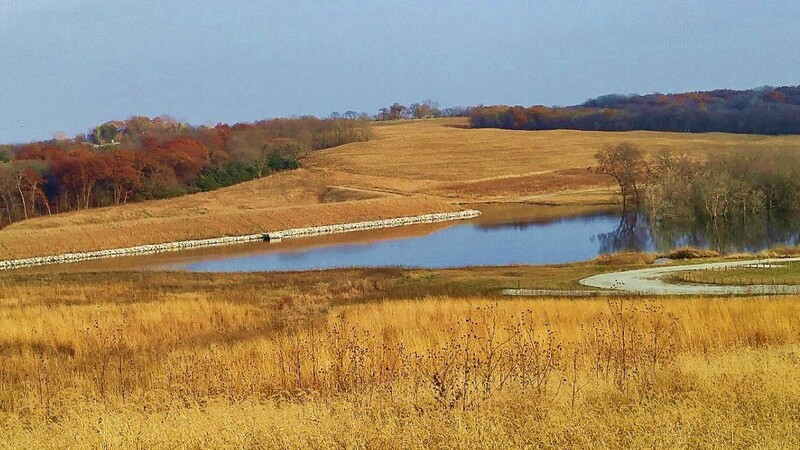 Years of planning and construction of resulted in a 62 acres lake with over 150 acres of land surrounding the lake. The area will include a variety of outdoor recreation opportunities including camping, no wake boating, fishing, swimming and picnic areas. Nebraska Game and Parks has been stocking the reservoir with largemouth bass, bluegill and catfish. Additional species may be considered in the future. The area has been designed to maximize angler access and includes 1,500 feet of walking paths. There are numerous fishing bump-outs, pods and a pier that will provide excellent fishing opportunities for those who do not have a boat or have physical disabilities. Fisheries habitat was developed to help maximize shoreline fishing opportunities. The lake includes both native and manmade fish habitat which should make it one of the best sport fishing lakes in southeast Nebraska. The Park includes 28 recreational vehicle pads that are all supplied with 50-amp electric service. Each pad includes a picnic table and fire ring. There are 4 pads specifically designed for those users with physical disabilities. Duck Creek will numerous wooded tent camping sites that include picnic tables and grills as well as an excellent area for group tent camping. The Park Complex at the west edge of town offers a large playground area, softball and baseball fields, restrooms and sheltered picnic area for enjoyment.